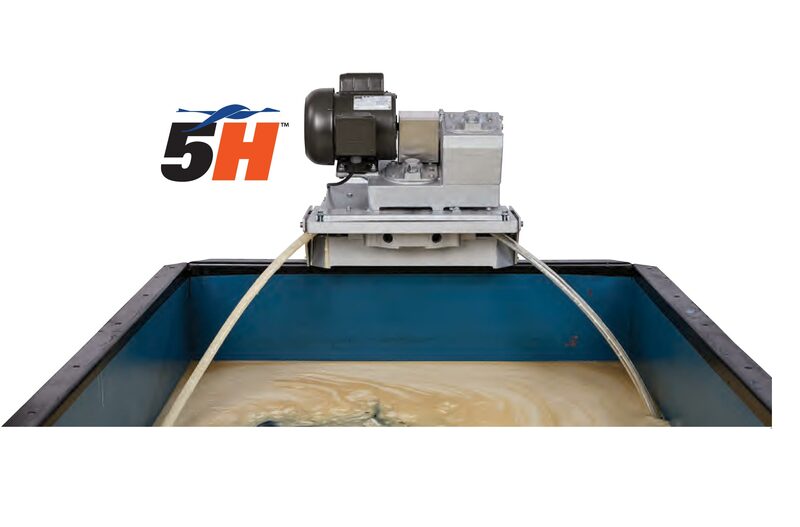 The Oil Skimmers Model 5H is designed for efficient oil removal in areas where the unit can be located within 3 feet of the water level. The “H” stand for “horizontal” in that the tube operates horizontally. 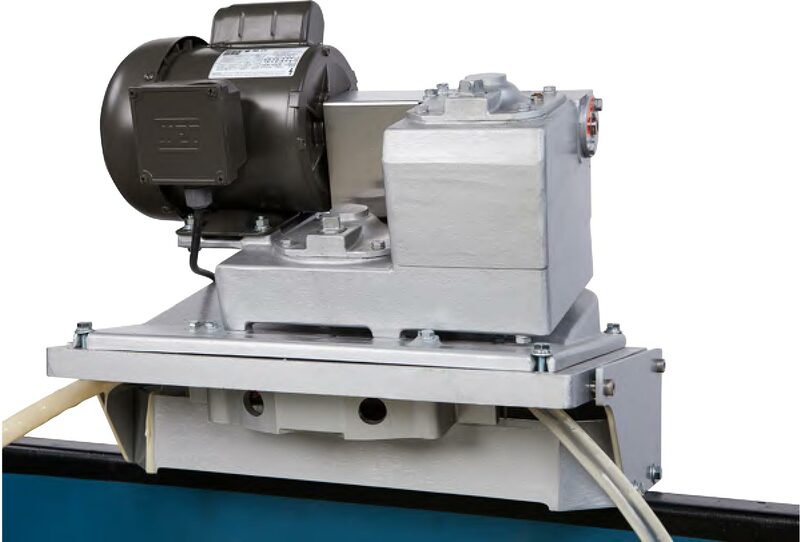 This unit is used for above-ground tanks, parts washers, and other applications where the skimmer can remain within 3 feet of the skimming area. Also similar to our Model 6V Brill™, the Model 5H waste oil recovery system removes oily waste using an oil collector tube. Oil adheres to the outside of the floating closed-loop tube and is drawn across the surface of the water and into the oil skimmer. The collector tube snakes over and around floating debris, adjusting automatically to changing water levels. The tube is drawn up into the skimmer and through scrapers that remove the oil. Then the tube returns to the water surface to collect more oil, while the recovered oil flows to a collection container. We have numerous 5H mounting systems available to ensure easy installation and peak performance. Call our representatives today to find out if our 5H is right for your application. The Model 5H oil skimmer is a hard-working skimmer specially designed for use in small or confined spaces. It can be mounted close to the liquid level. No matter what your application needs, Oil Skimmers Inc. has a system that will manage all your waste oil recovery efforts. Oil Skimmers, Inc. has been providing simple, effective and cost-saving oil removal solutions to business and industry for over 50 years. Headquartered in Cleveland, Ohio, the company has 38 sales/services offices in the United States, and 48 dealers overseas. The company’s focus is on the production of reliable equipment that provides years of trouble-free operation, and friendly, customer-oriented service. Using high quality parts, our systems are designed to be your valuable “silent employee” by doing their job of picking up oil day after day, year after year, with virtually no supervision or maintenance. When problems arise concerning oil removal from wastewater, it is nice to know you are dealing with a company whose personnel have seen and solved 35,000 applications in all industries, in 119 countries around the world. No matter your application, Oil Skimmers, Inc. has a system that will manage your waste oil recovery efforts. Call or contact us today, and we’ll find the right system for you. How Does Our Tube-Type Oil Skimmer Work?